I wouldn't go as far as Jeanne Birdsall to say that middle grade fiction saved my life (see the May/June 2013 issue of Horn Book Magazine). But I do think that it made me who I am today. 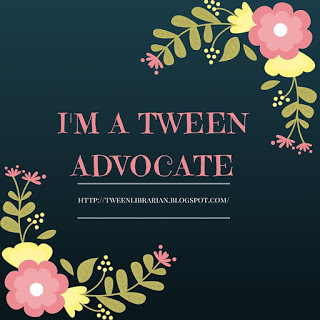 I believe that middle grade novels helped me to develop my core value system. I learned resilience from Sara Crewe and independence from Pippi Longstocking. I learned about loyalty from Anne Shirley. I learned that it's ok not to fit in from Meg Murray. I learned to love mysteries from John Bellairs and to be fascinated by dystopias from John Christopher. I learned from Zilpha Keatley Snyder to search for the unexpected and from Elizabeth Enright to value everyday pleasures. All of these authors spoke to me, not by writing books dripping with overt messages, but by creating relatable characters, and putting them in interesting situations. There are plenty of other middle grade titles that I've read since becoming an adult that have had their impact on me, too. Here are 12 that have stayed with me (and/or that I expect to stay with me in the future). All are books that I heartily recommend to others, and any one of them would make a great starting place for someone looking to tip a toe into middle grade fiction, whether child or adult. They are in alphabetical order by author. 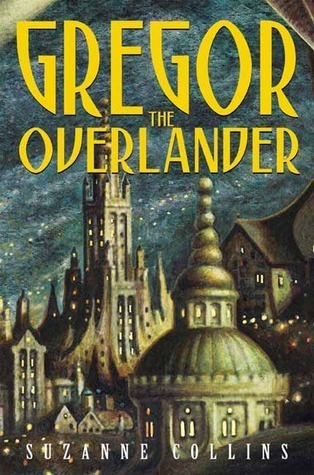 The Gregor the Overlander series by Suzanne Collins (also known as The Underland Chronicles). Before Collins became hyper-famous as the author of The Hunger Games series, she wrote this five book middle grade series set deep beneath New York City, featuring large, intelligent insects and rodents. Here's what I said in my review (http://jkrbooks.typepad.com/blog/2006/02/some_recent_rea.html) of the first two books: "They're about a mis-matched team of characters of different races going on a quest (shades of the Lord of the Rings, but in a much shorter, easier to digest story). They have to learn to get along, despite vast differences in mind-set and habits, and they face peril and adventure." Other reviews: http://jkrbooks.typepad.com/blog/2007/02/gregor_and_the_.html and http://jkrbooks.typepad.com/blog/2007/07/gregor-and-the-.html. I first read these as library copies, but then purchased the set for my husband, who also adored them. 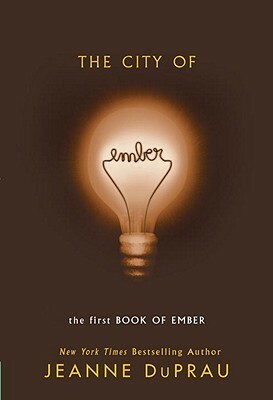 The City of Ember (and sequels) by Jeanne DuPrau. I found the premise of the City of Ember irresistible, and read each of the books in this series as quickly as I could upon publication. The first book begins in a city located deep underground, completely isolated from the larger world (if there even still is a larger world). With supplies, including light bulbs, running out, two 12 year olds search for a way out. This book is filled with secrets and suspense, and is MUCH better than the 2008 movie would suggest. I only have reviews of the third and fourth books of the series: http://jkrbooks.typepad.com/blog/2006/06/the_prophet_of_.html and http://jkrbooks.typepad.com/blog/2008/07/the-diamond-of.html. 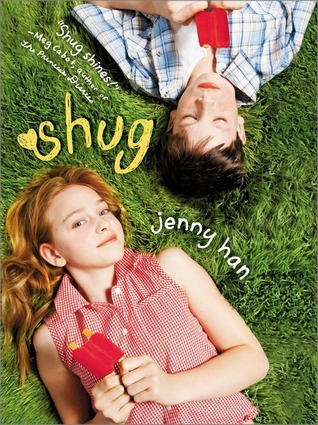 Shug by Jenny Han. I love Shug because I think that it perfectly captures the transition to middle school (something that middle grade readers are anxious about, and that, as an adult reader, I for some reason find endlessly fascinating). Uncertainty over one's social standing. Guilt over friends one is drifting away from. Hesitance to grow up. All set against difficult, but realistic, family dynamics. The end of my review (http://jkrbooks.typepad.com/blog/2006/11/shug_jenny_han.html) from 2006 has stayed with me: "Upon finishing this book, my first thought was that I wanted to buy it for the three sixth grade girls who I know. I think that it's a near-perfect window into starting middle school, and the struggle to balance being oneself against fitting in." Penny from Heaven by Jennifer L. Holm. Penny from Heaven is a historical novel set in 1950's New York. The story is episodic, but the historical details ring true, and the characterization is phenomenal. 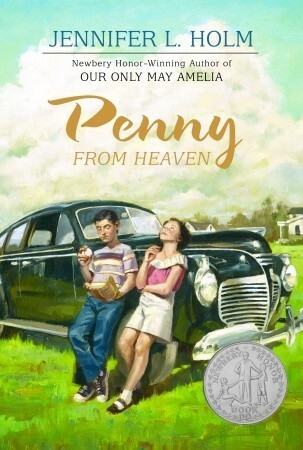 In my review (http://jkrbooks.typepad.com/blog/2006/10/penny_from_heav.html), I concluded: "Penny from Heaven has an old-fashioned feel, focusing on somewhat quirky characters, and mostly ordinary life events. There's much for an adult like myself to love about this book: the writing, the pathos, the suspense, the humor." I listened to this book on audio in 2006, and still have a hint of Penny's voice in my head. 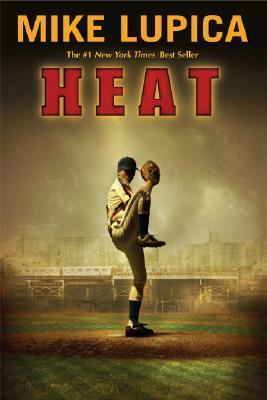 Penny from Heaven won a Newbery Honor in 2007. Alabama Moon by Watt Key. Alabama Moon is a survival story about a 10-year-old boy who has been raised in remote woods in the Southeastern US by his father. When his father dies, Moon sets out for Alaska, where he expects to find fellow survivalists. Instead, he ends up in the hands of the government. 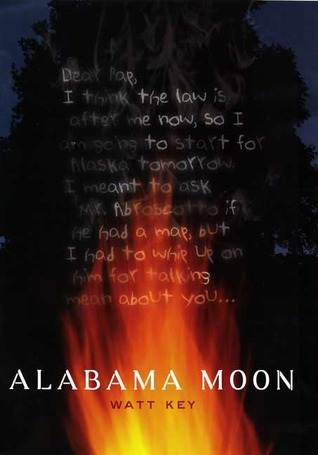 From my review (http://jkrbooks.typepad.com/blog/2009/04/alabama-moon-watt-key.html): "Alabama Moon is a story of survival, but it's also a story about understanding the complex needs of individuals. It's about taking responsibility for yourself, but also about letting other people in." But most of all, it's a great story, about a character that I came to care about deeply. The Giver by Lois Lowry. 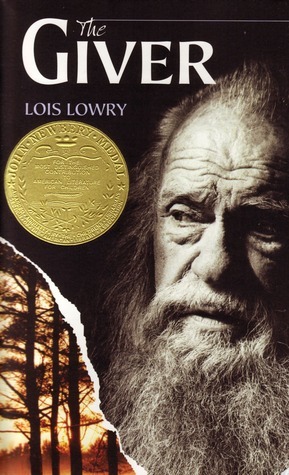 The Giver is the least recent title on my list (1993), and a book that I read long before I started my blog. It's a classic dystopian novel set in a town so highly controlled that people don't even see colors, or raise their own children. 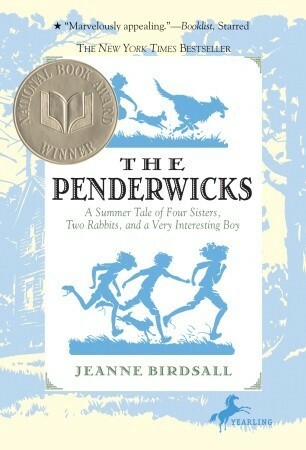 There are three sequels (the most recent, Son, was published in 2012: http://jkrbooks.typepad.com/blog/2012/09/son-lois-lowry.html). But the original book remains the strongest, I think. It won the Newbery Medal in 1994, and set the standard for the boom in modern dystopian literature. Every adult should read it. 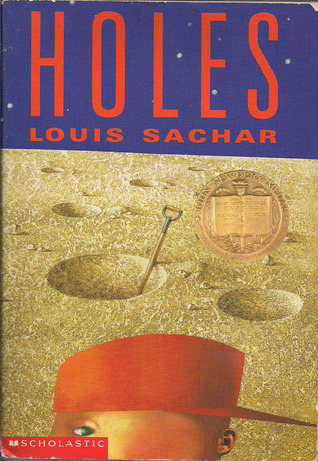 Holes by Louis Sachar. 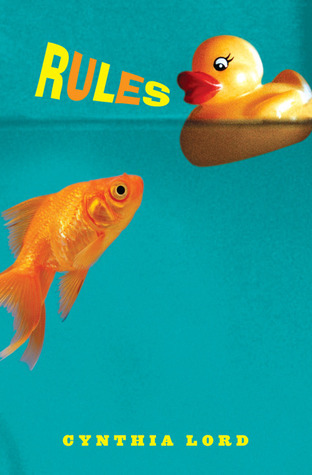 Holes is another classic, winner of the 1999 Newbery Medal, the National Book Award, and the Boston Globe-Horn Book Award, among others. Like The Giver, it's one that I think all adults should read (and no, watching the movie doesn't count, although it is a fun movie). Holes is about a boy named Sanely Yelnats whose family curse results in his getting sent to a juvenile detention facility, where he is forced to dig holes all day. Which doesn't sound interesting, but it is. There are compelling social dynamics between the boys at the facility, and a fascinating tying together of nearly-forgotten historical threads as the plot progresses. And I'm going to add a 13th bonus title: the first Harry Potter book. It is somewhat redundant to recommend the Harry Potter series at this point. 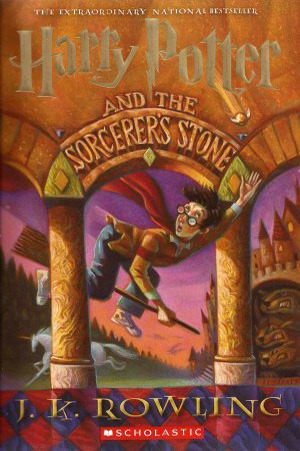 But I remember when I read the first book, Harry Potter and the Sorcerer's Stone, in the summer of 2000. I knew right away that it was special. In fact, I was so enraptured that I had to had to buy the second book from the UK, even though it was going to come out in the US in just a couple of months. It was fresh and creative, filled with wonderful world-building. If you've seen the Harry Potter movies, but never read the books, I can't suggest strongly enough taking them time to read them. Or listen to them. I hear that the audio editions are spectacular. And there you have it. 13 titles (and series) that, in one way or another, will nurture your inner child, providing hours of entertainment along the way. If you want to read middle grade, you can't go wrong with these books. Great picks! I too recommend Shug by Jenny Han, See You at Harry's by Jo Knowles, and so many others on this list. Go, Jen! Thanks, LW! Shug is one that has really stayed with me over the years since it was published. 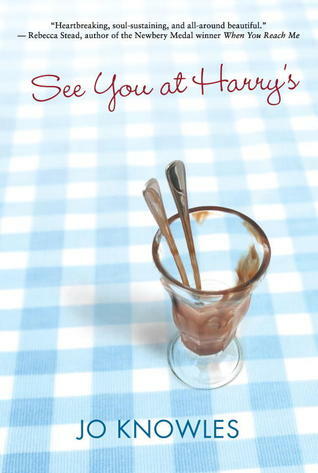 I'm sure See You at Harry's will, too. Great pics! Thanks for sharing this wonderful list! Thanks, Donna! It was fun to come up with the list. Funny- as much as Jen And I see eye to eye on a lot of books, I don't know that any of these would make my top ten list. Great. Now I'm thinking about what my list would be. Good descriptions of why these were important to you, Jen! On a plane the other day a young man, a year out of college, told me The Giver was one of his two all time favorite books. He'd certainly agree with it's place on your list, and so do I! As for the rest of the list I either agree with a book or I feel totally illiterate because I haven't read that book yet. I have been meaning to read several books on this list or I have read them and enjoyed them a lot. I have so many books on my list of things to read it seems like I'll never get through them all. I have read a few books on that list, but not most, which is sad. I have recently rediscovered a book series that I read at the library while I was in middle grades, but it's out of print. I've been getting the books off of Paperback Swap.